Mark your calendars! 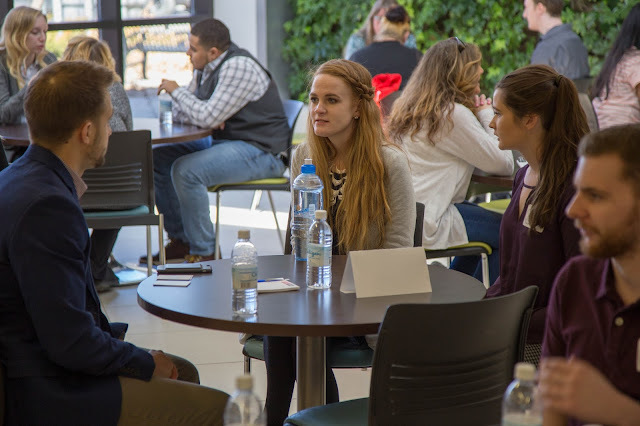 Loyalist PR students will be holding their 12th annual fall fundraiser for the United Way of Quinte on Thursday, November 10th from 7:30 am to 1:30 pm at Loyalist College. Help us smash hunger, povery and homelessness by purchasing a $2 ticket (or three for $5) to take a swing at our first-ever Auto Smash event! That's right: take a swing at an old car with a sledgehammer and relieve all that mid-semester stress! Besides relieving your stress, taking part in this FUNdraiser will also get your name in the draw for a ton of awesome prizes. There will also be Smash & Dash events taking place in the Loyalist College dining hall and the student centre, so be sure to stop by and take part in the fun! PLEASE NOTE: this is a CASH ONLY event. 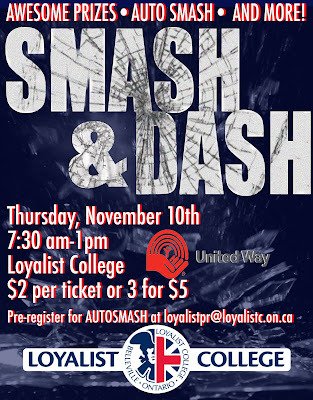 Smash & Dash is open to students, staff, faculty and community members -- so be sure to join us! P.S. 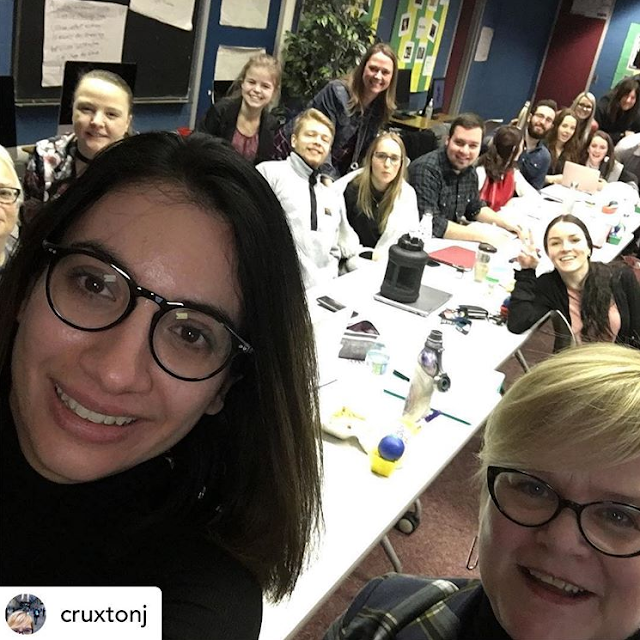 Did you know that Post-Graduate Public Relations students have raised more than $78,600 for the United Way of Quinte over the years? Let's add a huge chunk of change to that total this year!